The following are the terms and conditions (“Terms and Conditions”) for the sale of products (“Products”) by ECIG Depot (“ECIG”) to ECIGS’s customers (“Customers”). All orders are subject to acceptance in writing by ECIG Depot or a duly authorized agent of ECIG Depot. Any written acknowledgement of receipt of an order shall not, in and of itself, constitute such acceptance. Orders accepted by ECIG Depot may be cancelled by Customer upon written consent of ECIG Depot provided such order is not “NC/NR” or �������Non-Cancelable/Non-Returnable”, “Non-Standard Products” or governed by a Purchase Agreement Letter. Non-Standard Products are defined as Products that are special orders, custom orders, orders for non-standard products, products not customarily in stock or orders for value-added products. Non-standard products are non-cancelable and non-refundable. In the event of cancellation or other withdrawal of an order for any reason, and without limiting any other remedy which ECIG������Depot may have as a result of such cancellation or other withdrawal, reasonable cancellation or restocking charges shall include all expenses incurred and commitments made by ECIG Depot, and shall be paid by Customer to ECIG Depot. Customer requests to reschedule are subject to acceptance by ECIG Depot in its sole discretion. Orders may not be canceled or rescheduled after the order has been submitted by ECIG Depot to the shipment carrier. ECIG Depot reserves the right to allocate sales and limit quantities of selected Products among its customers in its sole discretion. Product specifications and availability are subject to change without prior notice. Only products originally shipped from ECIG Depot or from a supplier at ECIG’s direction (drop-ship) will be returned to ECIG Depot. All others will be promptly quarantined and disposed of or returned to the customer. By a Customer returning products to ECIG Depot, the Customer certifies that the products were purchased from ECIG Depot and there has been no substitution in whole or part of same product from another supplier, distributor or other such source of the product. The return should be in the original packaging (manufacturer or ECIG Depot), in unused condition (except defective). ESD sensitive products should not be opened except under controlled conditions. 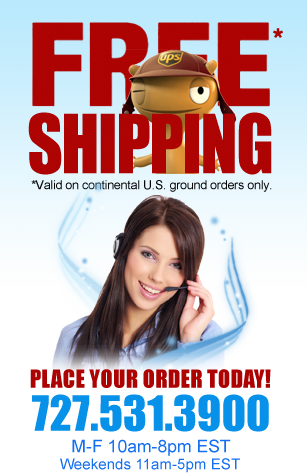 Orders are billed at the prices in effect at the time of shipment. 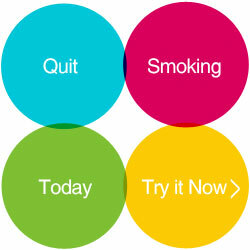 Prices will be as specified by ECIG Depot and will be applicable for the period specified in ECIG’s quote. If no period is specified, quoted prices will be applicable for thirty (30) days. The catalog reflects the latest pricing information available at the time of printing. Prices shown in the catalog are subject to change without notice. Prices are subject to increase in the event of an increase in ECIG’s costs or other circumstances beyond ECIG’s reasonable control. If Customer does not purchase the quantity upon which quantity prices are based, Customer will pay the non-discounted price for the quantity actually purchased and/or a cancellation or restocking fee. Prices are exclusive of taxes, impositions and other charges, including sales, use, excise, value-added and similar taxes or charges imposed by any government authority, international shipping charges, forwarding agent’s and broker’s fees, bank fees, consular fees, and document fees. Credit cards accepted include major credit cards, purchase cards, and major bank debit cards including MasterCard, VISA, Diners Club, Discover, and American Express. 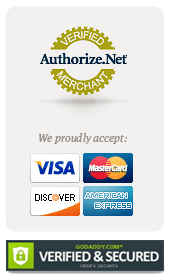 Credit Card billing information must be verified on new customers prior to shipment of order. Payment via net thirty (30) days is available to businesses, schools, and agencies with three references or as otherwise specified by ECIG Depot. Customer agrees to pay the entire net amount of each invoice from ECIG Depot pursuant to the terms of each such invoice, without offset or deduction. Orders are subject to credit approval by ECIG Depot, which may in its sole discretion at any time change the terms of Customer’s credit, require payment in cash, bank wire transfer/EFT or by official bank check, and/or require payment of any or all amounts due or to become due for Customer’s order before shipment of any or all of the Products. If ECIG Depot reasonably believes that the Customer’s ability to make payments may be impaired or if Customer fails to pay any invoice when due, ECIG Depot may suspend delivery of any order or any remaining balance thereof, until such payment is made or cancel any order or any remaining balance thereof. Customer will remain liable to pay for any Products already shipped and all Non-Standard Products ordered by Customer. Customer agrees to submit such financial information as ECIG Depot may reasonably require for determination of credit terms and/or continuation of credit terms. Checks are accepted subject to collection and the date of collection will be deemed the date of payment. Any check received from Customer may be applied by ECIG Depot against any obligation owing by Customer to ECIG Depot under this or any other contract, regardless of any statement appearing on or referring to such check, without discharging Customer’s liability for any additional amounts owing by Customer to ECIG Depot. The acceptance by ECIG Depot of such check will not constitute a waiver of ECIG���s right to pursue the collection of any remaining balance. Invoices not paid when due will bear interest to date of payment at the annual rate of eighteen (18%) percent or such lower rate as may be the maximum permitted by law. If Customer fails to make payment when due, ECIG Depot may pursue any legal or equitable remedies, in which event ECIG Depot will be entitled to reimbursement of costs for collection and reasonable attorneys’ fees. There is a $25 (USD) service charge on all returned checks. When required by law ECIG Depot will collect Federal, State and/or Local sale, use, excise, and other taxes that apply to a Customer’s shipment. These taxes are in addition to the purchase price of the Products subject to an order. Customer will remit the correct tax unless customer is tax exempt and ECIG Depot has a valid signed tax exemption certificate on file. All shipments by ECIG Depot are F.O.B. point of shipment from ECIG’s facility and the amount of all transportation charges will be paid to ECIG Depot by the Customer in addition to the purchase price of the Products. Subject to ECIG’s right of stoppage in transit, delivery of the Products to the carrier will constitute delivery to Customer and title and risk of loss will pass to Customer. ECIG Depot will make reasonable efforts to initiate shipment and schedule delivery as close as possible to Customer’s requested delivery date(s). Customer acknowledges that delivery dates provided by ECIG Depot are estimates only and that ECIG Depot will not be liable for failure to deliver on such dates. Selection of the carrier and delivery route will be made by ECIG Depot unless specifically designated by Customer. ECIG Depot reserves the right to make deliveries in installments. Delay in delivery of one installment will not entitle Customer to cancel any other installment(s). Delivery of any installment of Products within thirty (30) days after the date requested will constitute a timely delivery. Delivery of a quantity that varies from the quantity specified shall not relieve Customer of the obligation to accept delivery and pay for the Products delivered. ECIG Depot agrees to transfer to Customer whatever transferable warranties ECIG Depot receives from the manufacturer of Products sold to Customer. ECIG Depot makes no other warranty, express or implied, with respect to the Products. IN PARTICULAR, ECIG DEPOT MAKES NO WARRANTY RESPECTING THE MERCHANTABILITY OF THE PRODUCTS OR THEIR SUITABILITY OR FITNESS FOR ANY PARTICULAR PURPOSE OR USE OR RESPECTING INFRINGEMENT. ECIG’s liability arising out of any sale of products to Customer is expressly limited to either (1) Refund of the purchase price paid by Customer for such Products (without interest), or (2) Repair and/or replacement of such Products, at ECIG’s election, with such remedies exclusive and in lieu of all others. Customer must notify ECIG Depot within 90 days from date of shipment of any defective product. This warranty is in lieu of any and all other warranties, whether oral, written, expressed, implied or statutory. Implied warranties of fitness for a particular purpose and merchantability are specifically excluded and shall not apply. Customer’s obligations and ECIG�����������s remedies with respect to defective or nonconforming products, are solely and exclusively as stated herein. Furthermore, no warranty will apply if the Product has been subject to misuse, static discharge, neglect, accident, modification, or has been soldered or altered in any way. It is the policy of Electronics to identify and offer products to the Customer as RoHS Compliant or Lead Free, only after specific requirements have been met.��ECIG Depot performs no testing of product and relies solely on the manufacturer of the product for identification of RoHS Compliance and for absence of lead. Furthermore, ECIG Depot makes no warranty, certification or declaration of compliance concerning said Products. Product is advertised or offered as RoHS Complaint or Lead-Free only after sufficient evidence is received from the component manufacturer; and any inventory, either in a bin or on order, has been determined to be RoHS compliant and/or Lead Free. Any relevant evidence will be filed and maintained for at least four years from the date of receipt. ECIG Depot defines the term “RoHS” as supplier declared compliance to all restricted hazardous substance regulations under the ELV, WEEE or RoHS EU directives, regulations or laws. ECIG Depot defines the term �������Lead Free����� as pertaining to any product that has been declared by a Supplier to be “Lead Free”. All statements by ECIG DEPOT of RoHS compliance are based on producer documentation. ECIG Depot Electronics is not registered as a “producer” in the European Union, and does not provide a WEEE recycling program within the EU. A very small number of products that ECIG Depot sells are subject to the European Union Directive 2002/96/EC known as WEEE. Therefore, it is the policy of ECIG Depot Electronics to not export or place on the market, EEE classified products (as defined by EU Directive 2002/96/EC) to Customers within the European Union member countries. ECIG Depot Electronics maintains Country of Origin information on all products in its inventory. This information is provided to customers on product labels and product shipping documents. This information is based on manufacturer-provided information according to US Treasury, US Customs Regulations. Our manufacturers do not provide ECIG Depot with the country of origin of each raw material or subcomponent that is incorporated into the Manufacturer’s final product. IN NO EVENT SHALL ECIG Depot BE LIABLE FOR ANY SPECIAL, INCIDENTAL OR CONSEQUENTIAL DAMAGES OF ANY NATURE including, but not limited to, damages resulting from loss of profit or revenue, recall costs, claims for service interruptions or failure to supply downtime, testing, installation or removal costs, costs of substitute products, property damage, personal injury, death or legal expenses. Customer’s recovery from ECIG Depot for any claim shall not exceed the purchase price paid by Customer for the goods, irrespective of the nature of the claim, whether in warrant, contract or otherwise. CUSTOMER SHALL INDEMNIFY, DEFEND AND HOLD ECIG HARMLESS FROM ANY CLAIMS BROUGHT BY ANY PARTY REGARDING PRODUCTS SUPPLIED BY ECIG DEPOT AND INCORPORATED INTO THE CUSTOMER’S PRODUCT. Products are intended for commercial use only. Products are traceable at the manufacturer’s level only. There is no lot level traceability. ECIG Depot does not determine the specifications or conduct any performance or safety testing of any products that it sells. Specification sheets provided to Customers are produced by the manufacturer or transcribed from information provided by the manufacturer. ECIG Depot is not a Qualified Manufacturers List (QML) supplier or a supplier of Qualified Product Listing (QPL) components. Customer agrees that all purchases are for commercial or other applications that do not require QPL components. Any reference to military specifications in our catalog or on our website is for reference only and does not modify these terms and conditions. ECIG Depot does not participate in any product safety engineering, product safety review or product safety testing. ECIG Depot cannot provide any safety testing, safety evaluation or safety engineering services. Products sold by ECIG Depot are not designed, intended or authorized for use in life support, life sustaining, human implantable, nuclear facilities, flight control systems, or other applications in which the failure of such Products could result in personal injury, loss of life or catastrophic property damage. This includes, but is not limited to, Class III medical devices as defined by the US Food and Drug Administration (FDA) and Federal Aviation Administration (FAA) or other airworthiness applications. If Customer uses or sells the Products for use in any such applications: (1) Customer acknowledges that such use or sale is at Customer’s sole risk; (2) Customer agrees that ECIG Depot and the manufacturer of the Products are not liable, in whole or in part, for any claim or damage arising from such use; and (3) CUSTOMER AGREES TO INDEMNIFY, DEFEND AND HOLD ECIG DEPOT AND THE MANUFACTURER OF THE PRODUCTS HARMLESS FROM AND AGAINST ANY AND ALL CLAIMS, DAMAGES, LOSSES, COSTS, EXPENSES AND LIABILITIES ARISING OUT OF OR IN CONNECTION WITH SUCH USE OR SALE. If statements or advice, technical or otherwise, are offered or given to Customer, such statements or advice will be deemed to be given as an accommodation to Customer and without charge. ECIG Depot shall have no responsibility or liability for the content or use of such statements or advice. ECIG Depot Technical support is provided by telephone and, therefore, extremely limited in scope which prevents us from the direct participation in the design of any customer products. We do not conduct product suitability studies or engineering reviews of products that we sell, nor for the final product that a Customer produces. From time to time, Seller will notify Buyer of a product that is “NC/NR”, (Non-Cancelable/Non-Returnable) upon determining that an order requires such conditions of sale. Buyer understands that “NC/NR” products are obtained by ECIG Depot from the manufacturer specifically for the buyer. Irrespective of circumstances, the buyer agrees that “NC/NR” products may not be cancelled, returned or rescheduled by the buyer without the agreement of both ECIG’s supplier and the written consent of ECIG Depot Electronics. All products purchased by Customers classified by ECIG Depot Electronics as an Electronic Component Distributors or Brokers shall be deemed Non-Cancellable/Non-Returnable. If an order includes software or other intellectual property, such software or other intellectual property is provided by ECIG Depot to Customer subject to the copyright and user license, the terms and conditions of which are set forth in the license agreement accompanying such software or other intellectual property. Nothing herein shall be construed to grant any rights or license to use any software or other intellectual property in any manner or for any purpose not expressly permitted by such license agreement. Unopened software may be returned for credit. Opened software may not be returned unless defective. ECIG Depot will not be liable for delays in delivery or for failure to perform its obligations due to causes beyond its reasonable control including, but not limited to, product allocations, material shortages, labor disputes, transportation delays, unforeseen circumstances, acts of God, acts or omissions of other parties, acts or omissions of civil or military authorities, Government priorities, fires, strikes, floods, severe weather conditions, computer interruptions, terrorism, epidemics, quarantine restrictions, riots or war. ECIG’s time for delivery or performance will be extended by the period of such delay or ECIG Depot may, at its option, cancel any order or remaining part thereof, without liability by giving notice to Customer. ECIG Depot Electronics is committed to compliance with all U.S. Export Regulations and Laws. ECIG Depot will not sell or ship to countries embargoed by the U.S. Treasury Office of Foreign Asset Control (OFAC). ECIG Depot will not sell or ship to individuals or organizations identified by the U.S. Treasury as Specially Designated Nationals and Blocked Persons. ECIG Depot will not sell or ship products prohibited under Export Administration Regulations to individuals or organizations identified by the U.S. Department of Commerce, Bureau of Industry and Security (BIS). ECIG Depot will not seek export licenses pursuant to Export Administration Regulations. ECIG Depot participates in BIS Export Enforcement and OFAC transaction reporting. Furthermore, ECIG Depot prohibits the re-export, brokering or transshipment of its products to any individual, organization or country prohibited by the OFAC or BIS. The sale, resale or other disposition of Products, and any related technology or documentation, are subject to the export control laws, regulations and orders of the United States and may be subject to the export and/or import control laws and regulations of other countries. Customer agrees to comply with all such laws, regulations and orders. Customer further acknowledges that it shall not directly or indirectly export any Products to any country to which such export or transmission is restricted or prohibited. Customer acknowledges its responsibility to obtain any license to export, re-export or import as may be required. Any use made of ECIG Depot classifications, whether it be ECCNs or any variation of Harmonized Tariff codes, is without recourse to ECIG Depot and at the user���s risk. Export classifications are subject to change. If you export or re-export, your company, as the exporter of record, is responsible for determining the correct classification of any item at the time of export. Any export classification by ECIG Depot is for ECIG’s internal use only and shall not be construed as a representation or warranty regarding the proper export classification nor relied upon to make licensing determinations. The Terms and Conditions may not be modified or cancelled without ECIG’s written agreement. Accordingly, goods furnished and services rendered by ECIG Depot������are sold only on the terms and conditions stated herein. The sale of Products hereunder will be governed by the Terms and Conditions, notwithstanding contrary or additional terms and conditions in any order purchase order, planning schedule, acknowledgment, confirmation or any other form or document issued by either party affecting the purchase and/or sale of Products. Notwithstanding any terms and conditions on Customer’s order, the information and conditions on the Credit Application are controlling over Customer and ECIG Depot. Any conflicting statements or terms listed on the Customer purchase orders, invoices, confirmations or other Customer generated documents (“Customer Documents”), whether heretofore or hereafter submitted, are negated by submission of the Credit Application and the issuance of credit by ECIG Depot, and all different or additional terms and conditions contained in any Customer Documents are hereby objected to by ECIG Depot. ECIG’s performance of any contract is expressly made conditional on Customer’s agreement to ECIG’s Terms and Conditions of Sale, unless otherwise specifically agreed upon in writing by ECIG Depot. In the absence of such agreement, commencement of performance and/or delivery shall be for Customer’s convenience only and shall not be deemed or construed to be acceptance of Customer’s terms and conditions or any of them. If a contract is not earlier formed by mutual agreement in writing, acceptance by Customer of any goods or services shall be deemed acceptance by Customer of the terms and conditions stated herein. No rights, duties, agreements or obligations hereunder, may be assigned or transferred by operation of law, merger or otherwise, without the prior written consent of ECIG Depot. The obligations, rights, terms and conditions hereof will be binding on the parties hereto and their respective successors and assigns. The waiver or breach of any term, condition or covenant hereof, or default under any provision hereof, will not be deemed to constitute a waiver of any other term, condition, or covenant contained herein, or of any subsequent breach or default of any kind or nature. Any provision hereof which is prohibited or unenforceable in any jurisdiction shall, as to such jurisdiction, be ineffective to the extent of such prohibition or unenforceability without invalidating the remaining provisions hereof in that jurisdiction, or affecting the validity or enforceability of such provision in any other jurisdiction. The Terms and Conditions will be governed by and construed in accordance with the laws of the state of Texas and the applicable laws of the United States.